Who better to play the trademark song for Disney’s Alice Through the Looking Glass than P!nk. Seriously, I’m so darn excited for this movie I can’t even handle it. Check out the killer new movie poster too! Growing up, Alice in Wonderland was always one of my favorites to binge watch under a blanket fort stocked with snacks. Not many other films inspire this kind of limitless creativity. After seeing the most recent Alice in Wonderland, directed by Tim Burton, I was totally mind blown. It was at the D23 Expo that I first heard this sequel, Alice Through the Looking Glass, would be released this year. I’ve been anxiously waiting ever since. Now, with P!nk partnering with Disney to write an original song for the film and perform the iconic song “White Rabbit”, I just don’t know how it’s going to get any better. You may have seen P!nk’s outstanding performance on the Grammy’s… but in case you missed it, this little featurette will give you a taste of the goosebumps-inducing effect she has on this song. The film release is set for May 27th, 2016! for all the latest updates. 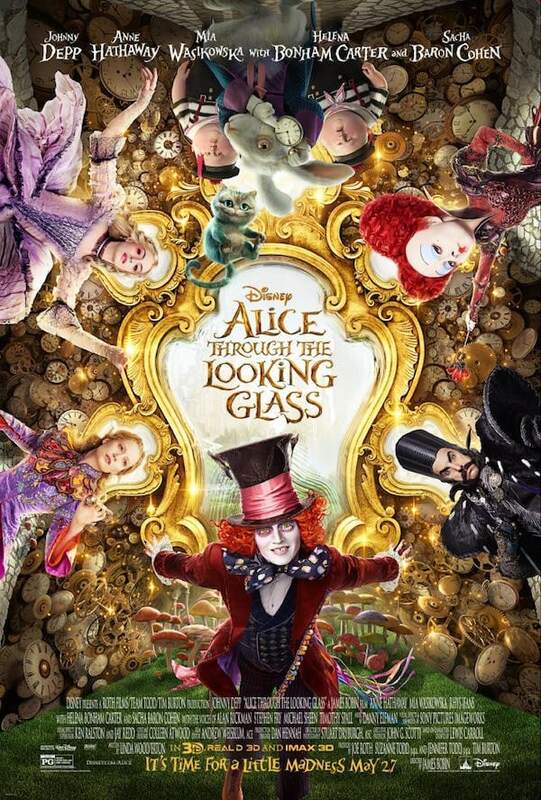 Who else can’t wait to see Alice Through the Looking Glass?! I like the first one and look forward to this one. Oh!! I can’t wait to see this one–absolutely loved the first one! My daughter and I can’t wait to see this movie! We are looking forward to it very much. This looks like it will be a spectacular experience, full of fantasy and special effects.